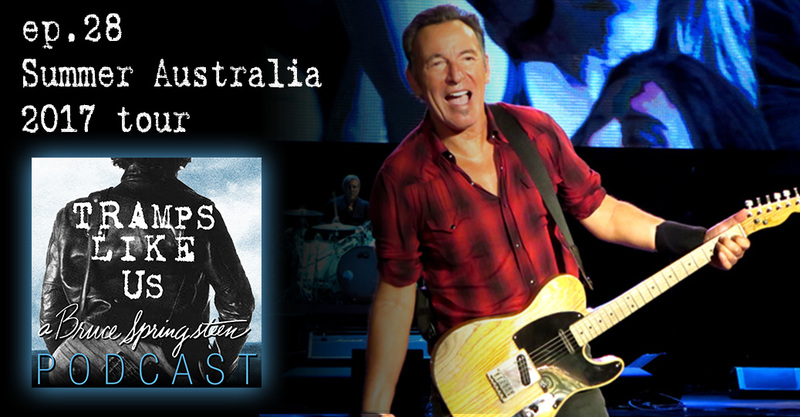 Bruce and the band just finished their 14-show tour of Australia and a few eye-witnesses are joining me for this episode. Friends of the show Jamie McLellan, Charles Harrison and Kathy Fisher are here to tell a few tales as we talk about the tour and play some music highlights. ← ep27 “the meaning of music” SXSW 03.15.12. Quality Podcast Lee. Charles, Kathy & Jamie all capture what it must have been like down in Oz on the Summer ’17 tour. That Aussie drawl, & those Canadian accents are a great mix together! You guys should all do another interview soon about something. Awesome Stephen, thanks for listening man.